There’s a lot to be said for the seemingly-niche market of male-focused publications. But the industry is quite huge, with players ranging from the obvious to the obscure. Today, a site named Gallivant joins the ranks, headed by the same team that has launched the successful sites of Uncrate and Devour. 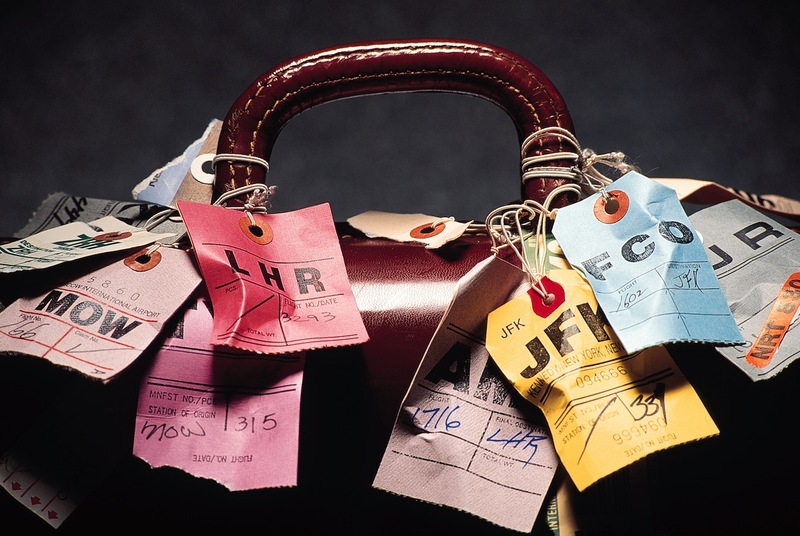 Guys, think of Gallivant as your personally-curated travel guide. 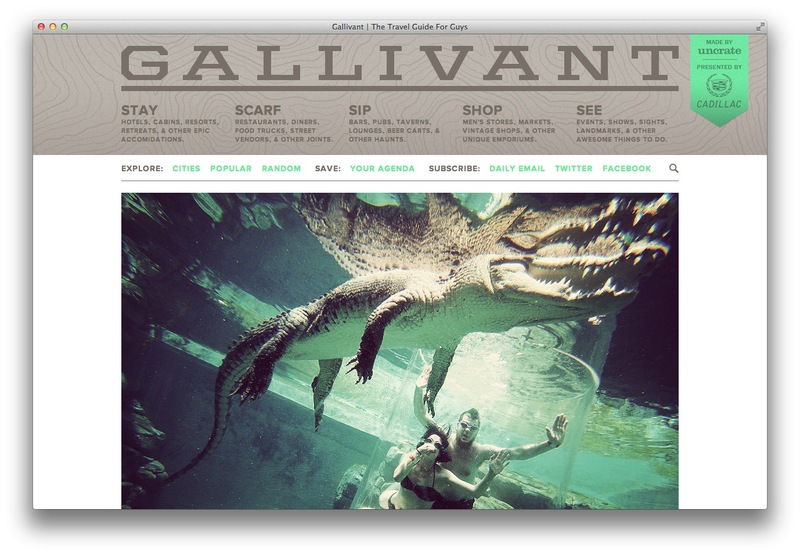 Gallivant is, according to creator LC Angell, a site dedicated to “the man who has a thirst (and appetite) for cool accommodations, great food, hopping nightlife, superb shopping, and high quality entertainment.” But instead of just smacking up random blurbs about locations and attractions, Gallivant is taking a more hands-on approach. Angell tells me that, like Uncrate (launched in 2005), Gallivant aims to really dig in and find the best content for its readers. Rather than “bombarding [them] with 40 posts a day”, Gallivant is sifting through thousands of locations, attractions and more to bring a “best of the best” type listing. If this seems a lot like the travel-centric version of Brian Lam’s The Wirecutter, you can consider yourself quite astute. The idea is nearly the same. But is it scalable? According to Angell, the Gallivant team has two managing editors right now. Moving forward, the team will be looking for “soldiers on the ground”, so to speak, who know the local areas better than anyone. Given the submissions that are sent to Uncrate, Angell feels that Gallivant’s editorial staff will actually find itself overloaded with content ideas from people who already have day jobs and just want to share their findings. The success of Angell’s other sites can’t be overstated. Though Uncrate is pulling in only a touch over 1.4 million unique visitors monthly, the site is serving over 9 million page views. Devour is on the same track, at 1.1 million uniques and 6 million page views. Both sites were listed in Time Magazine’s “50 Best Websites” list for 2012, an honor that Angell says came as “a really nice surprise” after 7 years. But there’s more in the works as well. I’m told that there’s another site that’s set to launch before the end of the year, and the team has just leased office space in its home city of Cincinnati, Ohio. While magazines struggle to make the digital transition, Angell tells me that Uncrate and Devour hear quite often that men are unsubscribing from Maxim, Men’s Journal and the like, because the content is often the same that they saw on the Internet weeks prior. Whether you subscribe to magazines or not, it’s worth a trip over to Gallivant to see what the site has to offer. And, I have to agree with them – Imogene and Willie are some of the best jeans you’ll ever own.